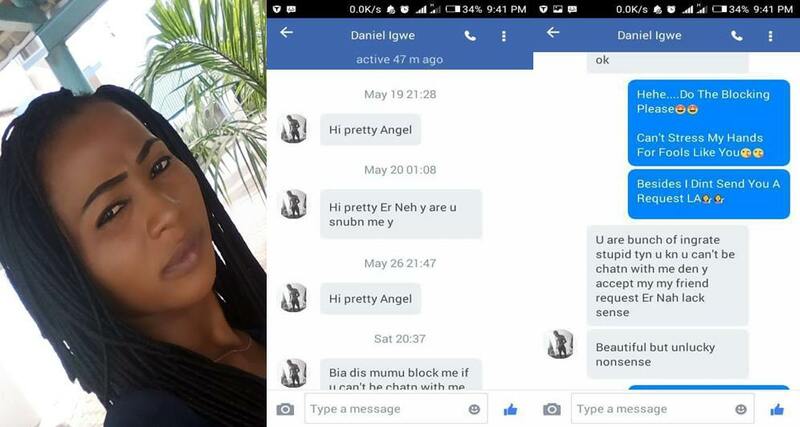 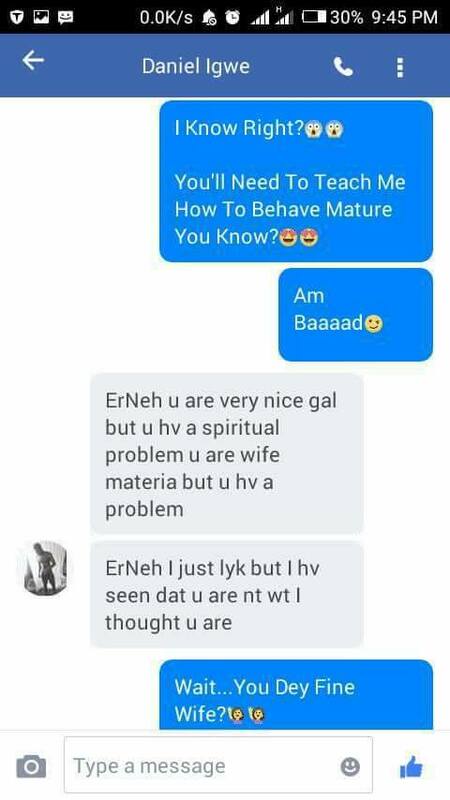 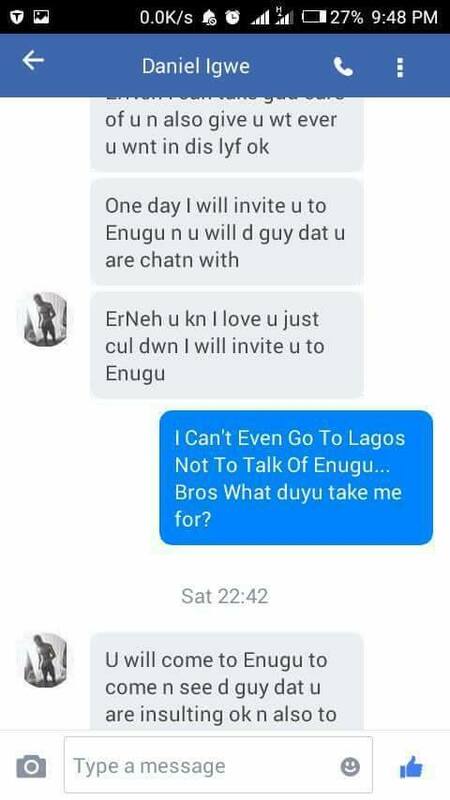 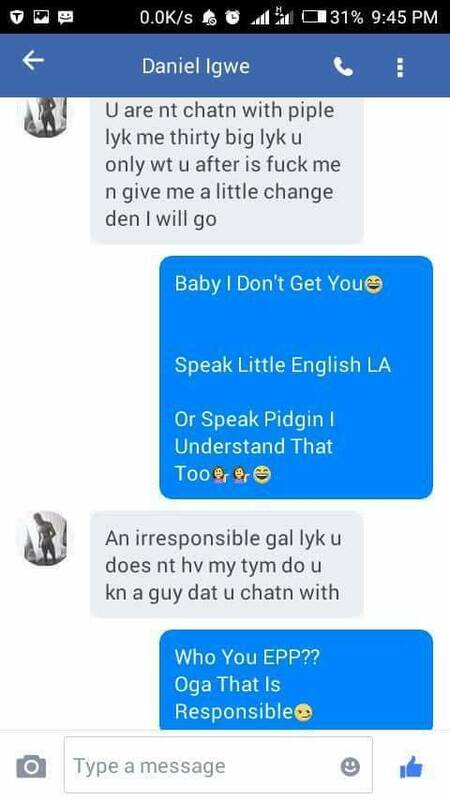 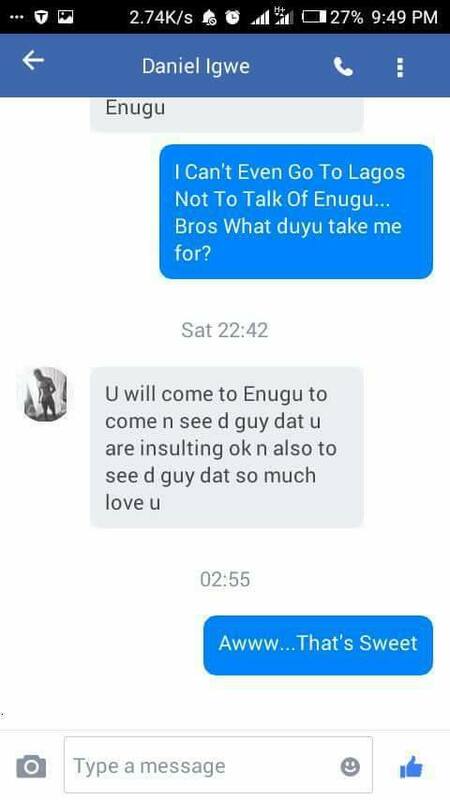 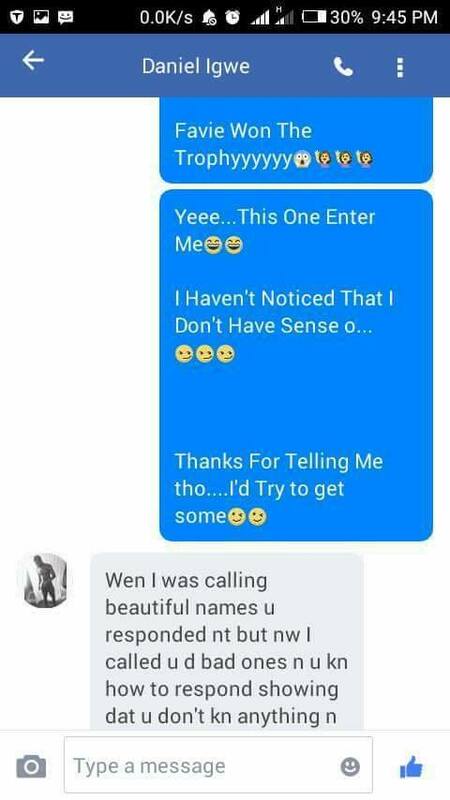 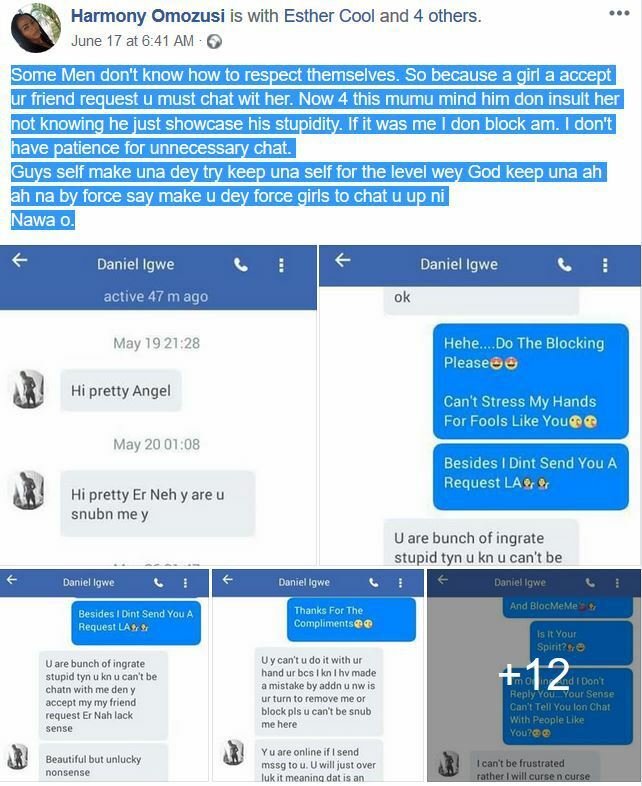 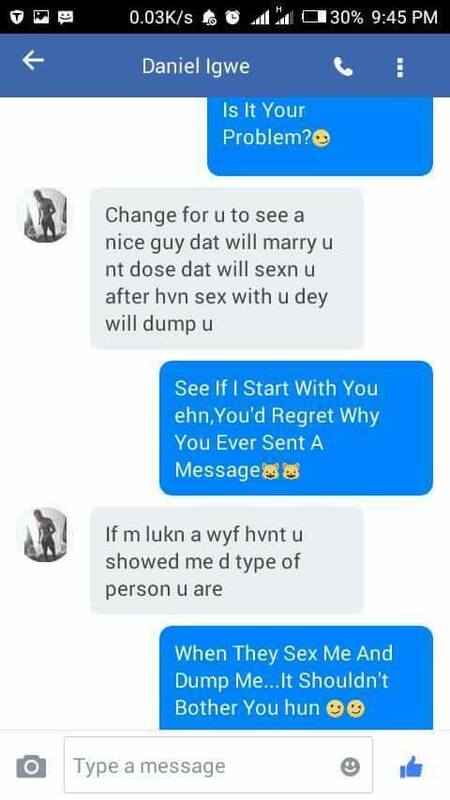 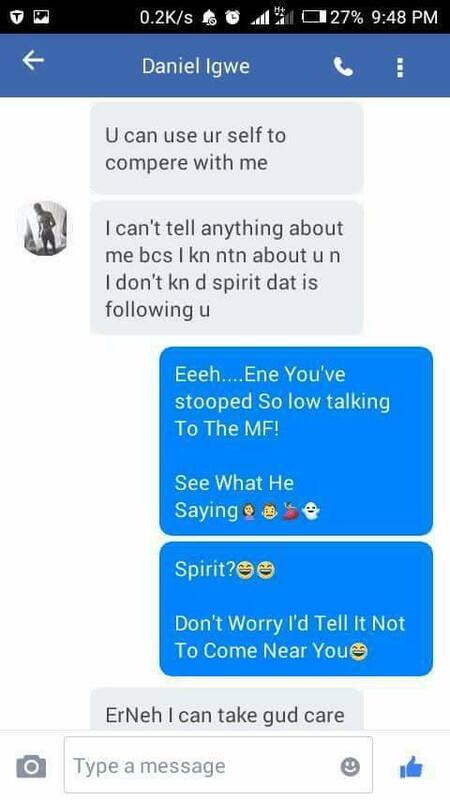 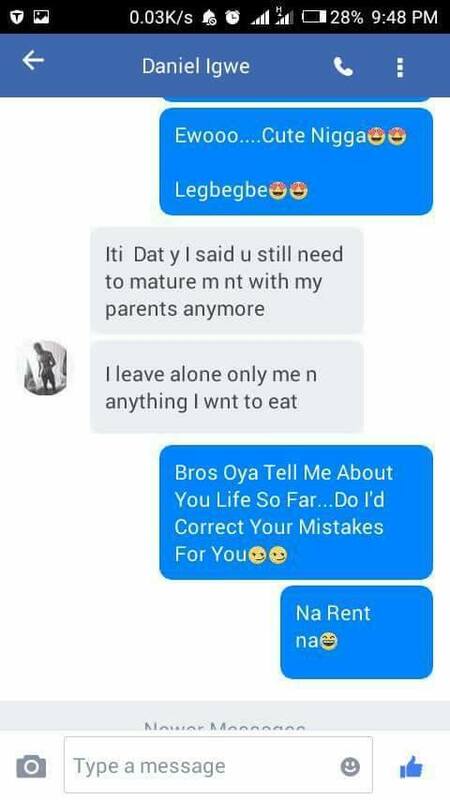 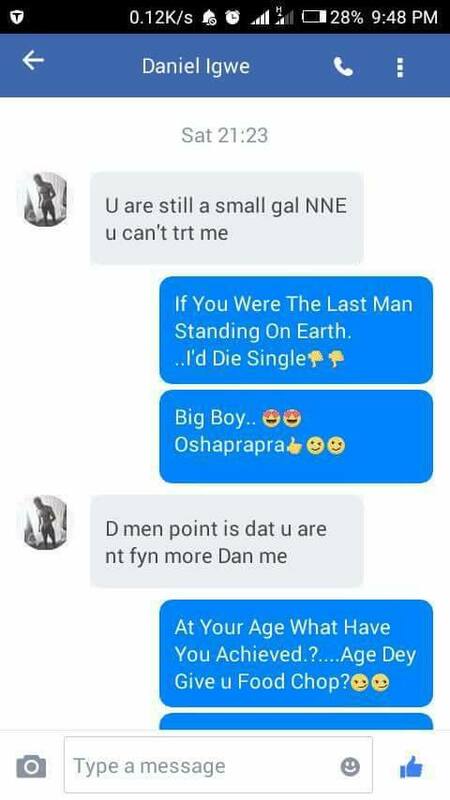 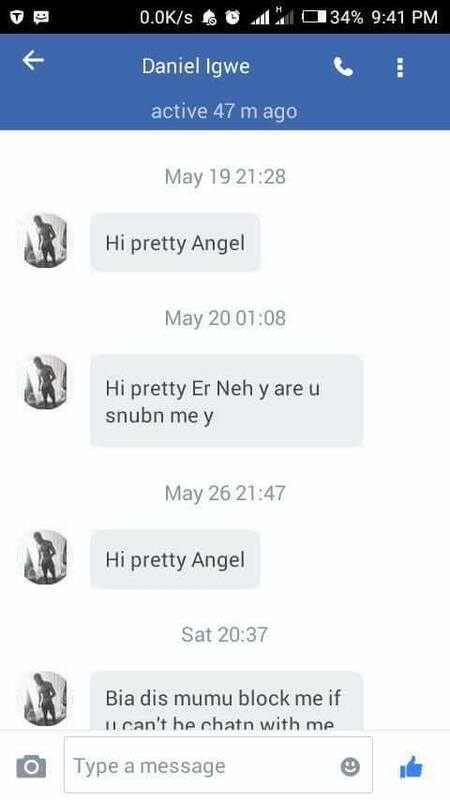 A Nigerian lady, Harmony Omozusi, has shared screenshots of chat her friend had with a young man who insulted her for refusing to reply his messages after accepting his friend request. 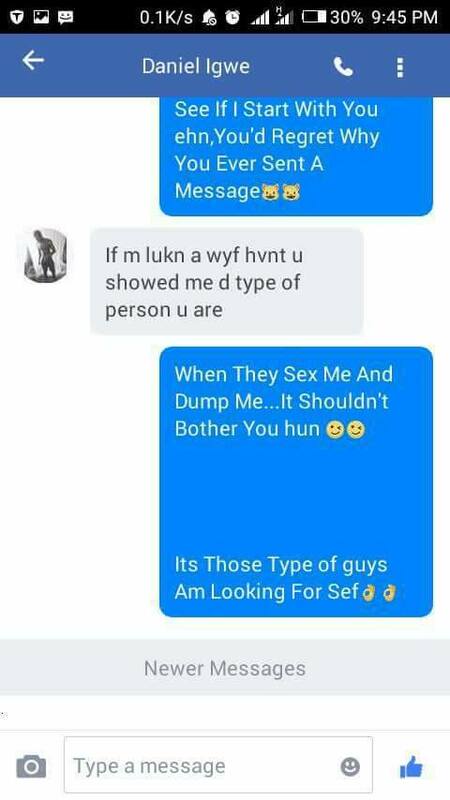 "Some Men don't know how to respect themselves. 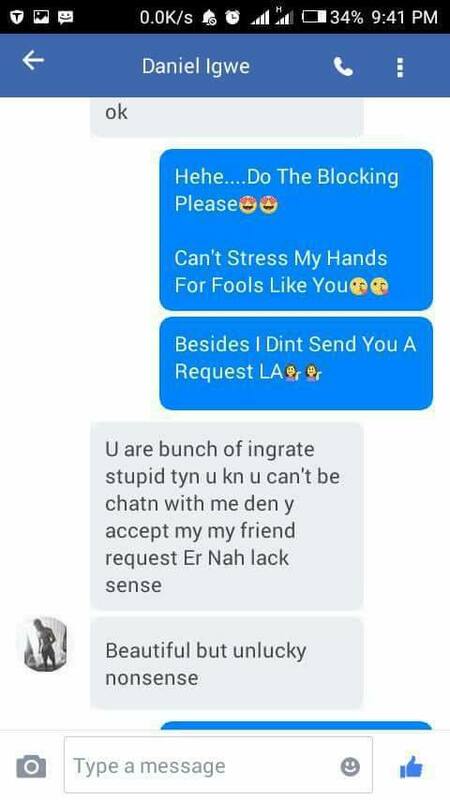 So because a girl a accept ur friend request u must chat wit her. 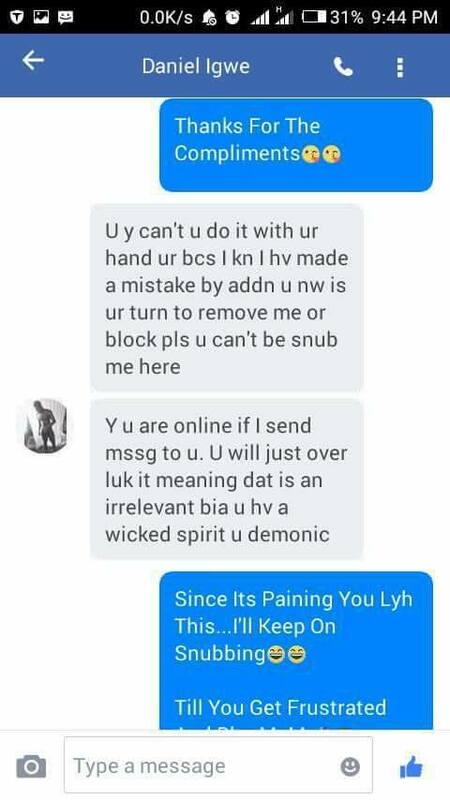 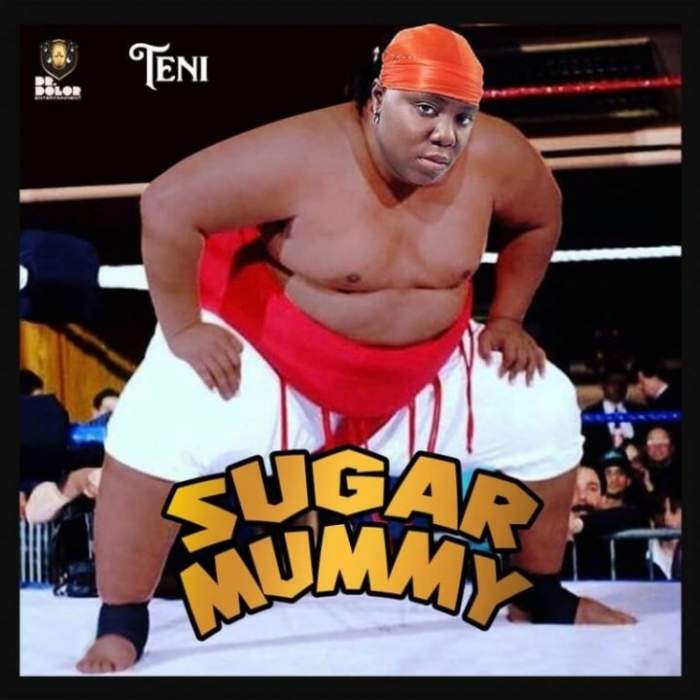 Now 4 this mumu mind him don insult her not knowing he just showcase his stupidity. 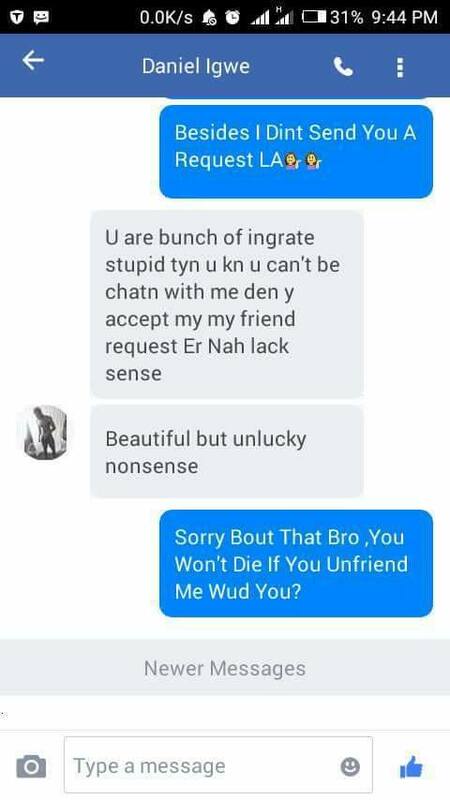 If it was me I don block am. 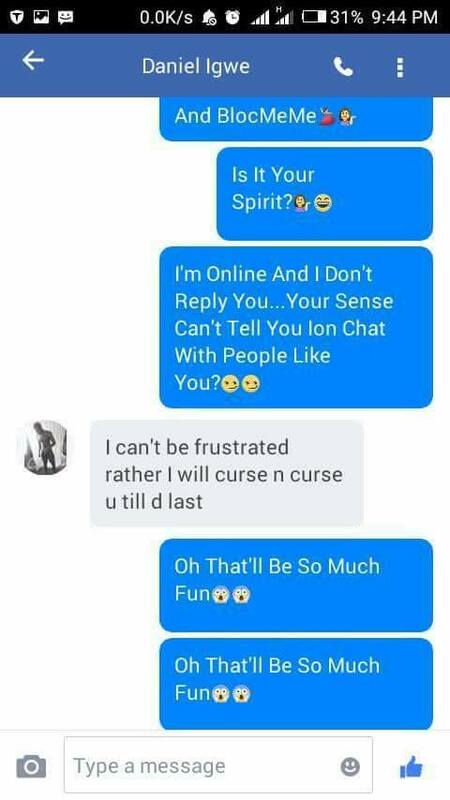 I don't have patience for unnecessary chat. 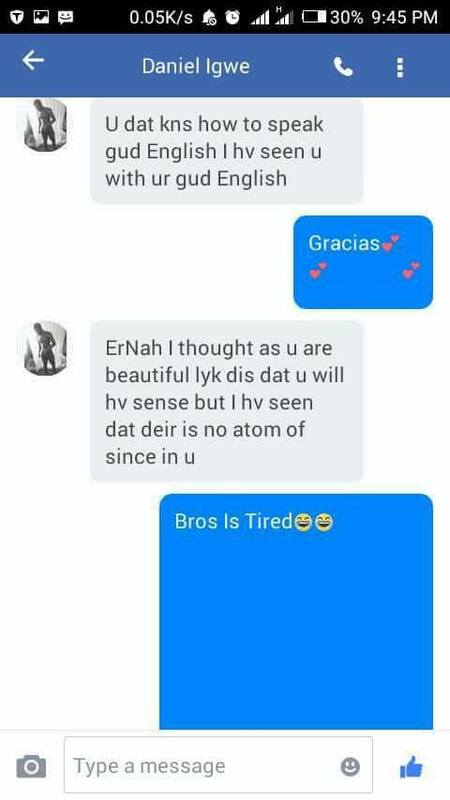 Guys self make una dey try keep una self for the level wey God keep una ah ah na by force say make u dey force girls to chat u up ni.. Nawa o."